It’s very clear that I am not from Wisconsin. I don’t say “don’t you know?” and I don’t call a water fountain “the bubbler”. I had a hard time finding a time machine (Tyme, as in an ATM machine). 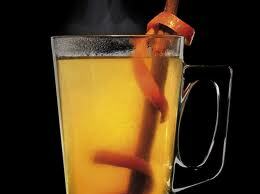 I do however, believe in drinking a hot toddy elixir to relieve the common cold. Plus, I add cheese to everything, really everything. One of my favorite things about moving to Wisconsin almost a decade ago is the food. Wisconsinite’s really take their food seriously and take lots of great steps to make sure that your belly is happy and satisfied after a meal. Let me share with you some of the recipes that Wisconsin is known for. Most people in the country don’t even know what a brat is (sorry for those of you that think that this news is shocking). The fact that you let meat sit in beer to get its flavor might seem weird but not here in Wisconsin. It’s actually quite simple and no steps should be skipped when preparing this delicious recipe. Enough cheap beer to cover the brats when boiling. Bring to a boil and then add brats. Let them simmer in beer mixture while you prepare the charcoal grill. 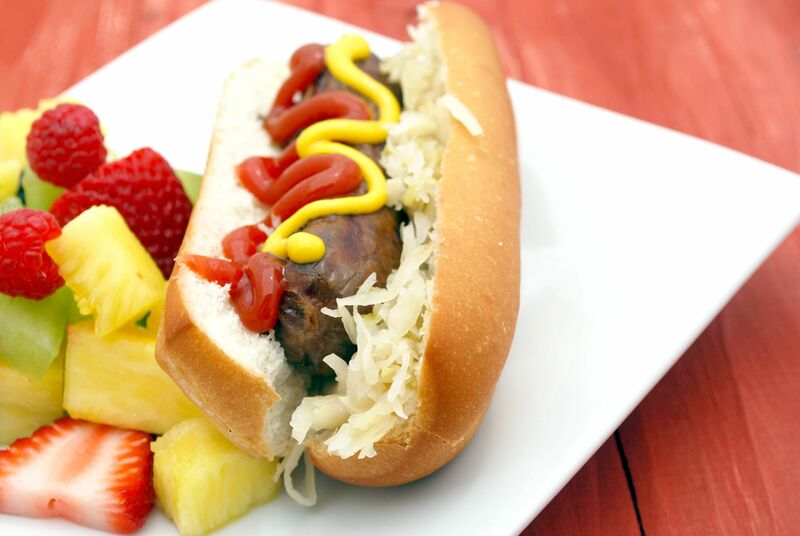 When coals are red hot and a glowing bed, add the brats on medium heat for 6-7 minutes. Do not overcook! When time is up, place them back in the beer mixture and simmer until they are ready to be served. For best results, no less than 20 minutes. While simmering the brats, toast your buns to a golden brown. No brat is complete without stone ground mustard (Wisconsin is the home state of the Mustard Museum) and the cooked onions from the beer mixture. Enjoy! Drop cheese curds into the beer batter and then lightly roll into a shallow dish of bread crumbs. Place cheese curds on a cookie sheet and freeze for 25 minutes. Meanwhile heat up peanut oil in fryer. Place cheese curds in basket and carefully lower into oil. Curds should not be in there more than a minute but pay attention to the golden brown color to take effect. 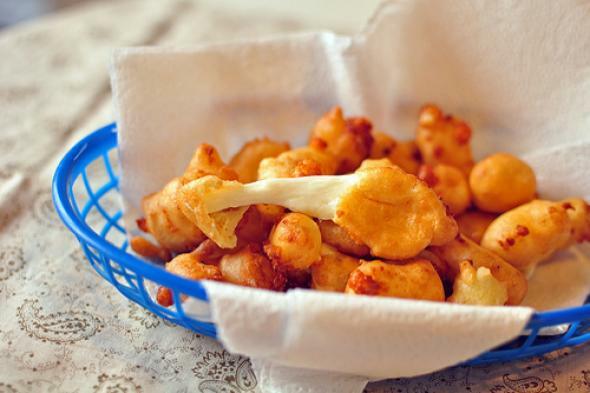 Cool off cheese curds on paper towel. Let the cheesiness melt in your mouth! Be mindful to let cheese curds cool down slightly. Cheese curds are delicious on their own but can be accented with a variety of dressings. I prefer Ranch dressing. Because of Wisconsin’s heavy Scandinavian influence, Fish Boils are very popular. If you haven’t experienced a Wisconsin “Friday Night Fish Fry” – get to it. Restaurants book fast and guests start to arrive about a half hour before to witness the fish boil production, chat with other locals, and tip a couple back. Now, unless you have a large firepit, a kettle large enough for 50 people and a huge iron bar to lift the kettle by its handles after boiling fish for so long, I would suggest keeping it on a lower scale and follow the recipe below. This recipe has been scaled for 5 servings. It’s roughly two pieces of fish and baby red per person. Bring salted water to a boil and carefully lower the potatoes and boil for another 10 minutes. Add onions and return to a boil for another 3 minutes. Place fish in a wire basket (if you have one) and lower into the pot. Boil for 10 minutes and then drain into a strainer. After serving up portions on the plates for your guest, drizzle over the entire plate with butter and serve with a lemon wedge, traditional coleslaw and a roll. To view a video of a traditional Lake Michigan Fish Boil, click here. Place cherries, orange, bitters, sugar and a splash of water. Muddle (squish) ingredients in a short glass and add ice. Add brandy and lemon lime soda. Voila! Wisconsinites are pretty serious about their past times and after skiing mountains, sledding, snowmobiling, building ice castles or ice fishing, it’s time to warm up. Head back to your Wisconsin vacation cabin and a Hot Toddy will do just the trick. No one seems to know where the name came from but that isn’t exactly important. 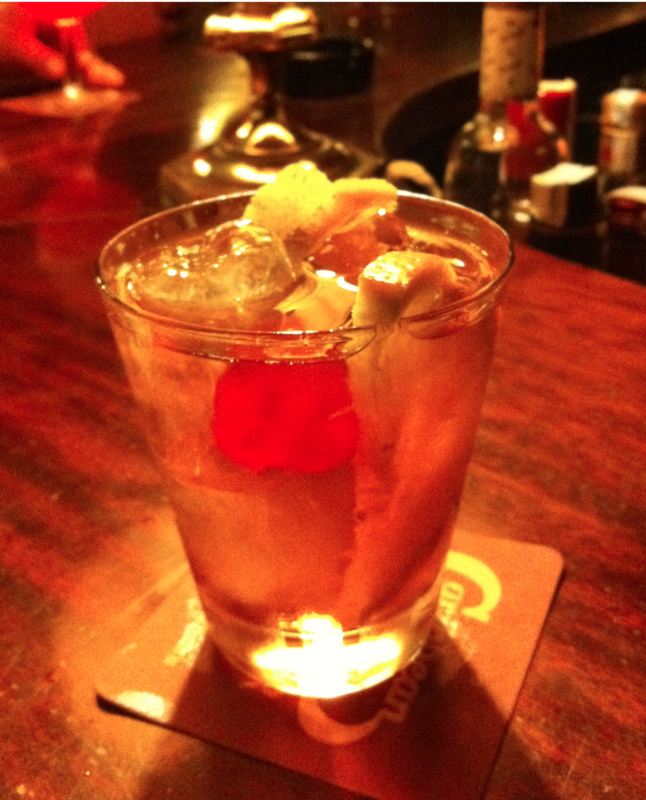 We firmly believe it has medicinal properties and can cure a sore throat, or that’s what we tell ourselves anyways. Try this concoction next time you’re chilled and tell us what you think! Mix liquids together vigorously in a mug, garnish with the lemon and your set to go! Enjoy these special foods and drinks on your next vacation! Visit www.RentWisconsinCabins.com and use our Narrow Your Search Tool and Google Interactive Map to find YOUR perfect cabin, cottage, lodge, or home! Rebecca is a blogger, full time Wisconsinite, taste tester, and jokester. We can barely keep her in the office and it’s even harder for her to keep her shoes on the whole day. We let her stick to her blogging most times. Any questions, feel free to visit out contact tab for more information on who we are as a company! This entry was posted in Wisconsin Foods and tagged Brandy Old Fashioned, brat, Cheese curd, Fish Boil, Hot Toddy recipe, wisconsin, wisconsin beer brat. Bookmark the permalink.